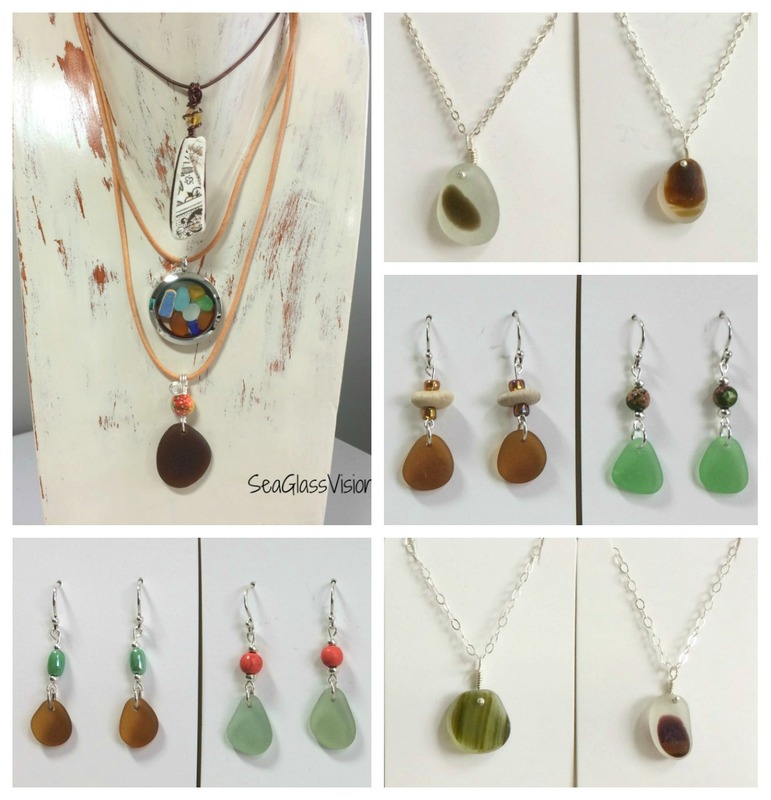 I have recently created a “seasonal” line of sea glass jewelry using the colors of autumn. 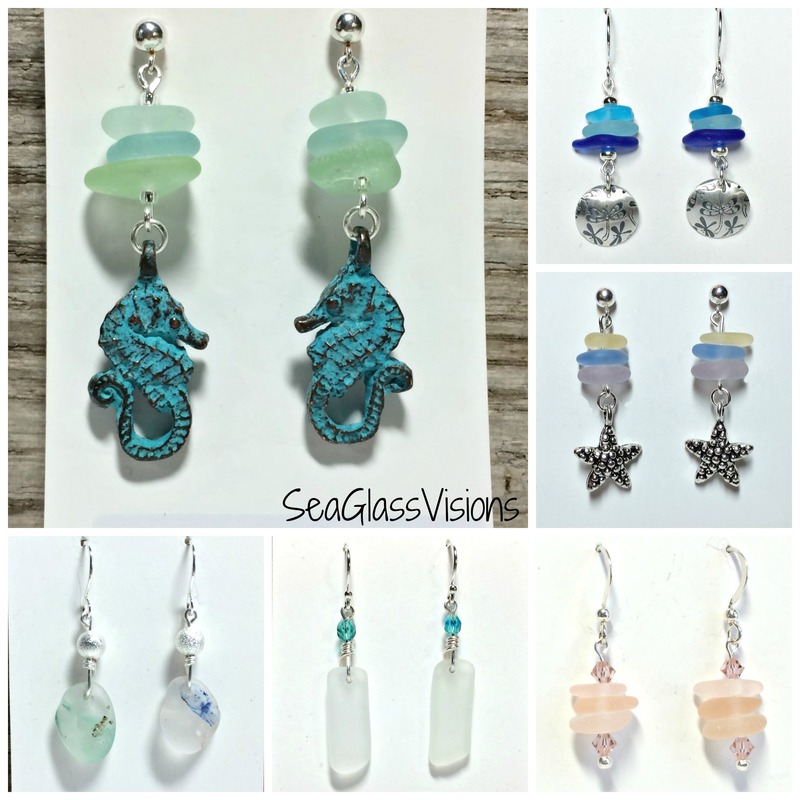 These collections of lovely autumn colors of greens, blues, browns, amber and lavender are created with sea glass from Maryland, England, California and Greece! 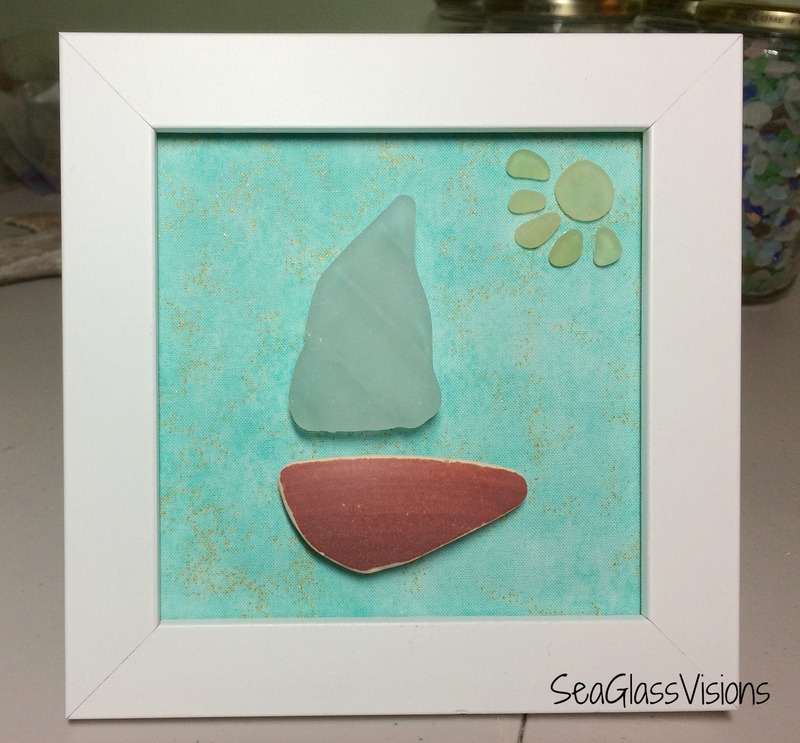 I am selling them locally in consignment shops in Maryland! 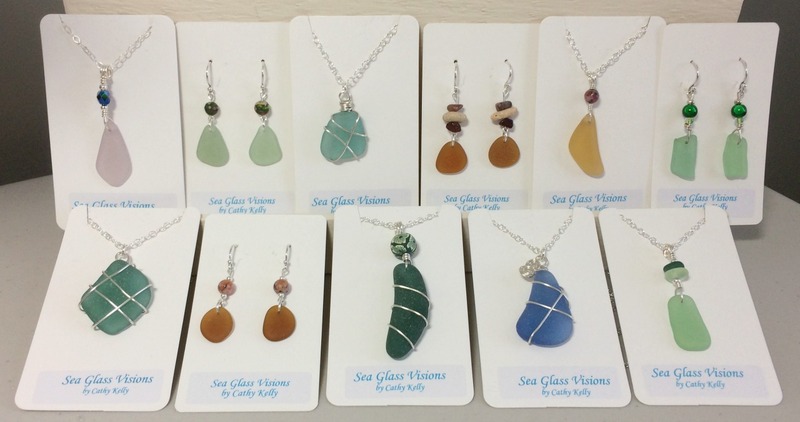 This second picture is of jewelry available at Side Street Framers & Gift Gallery in Severna Park, Maryland. 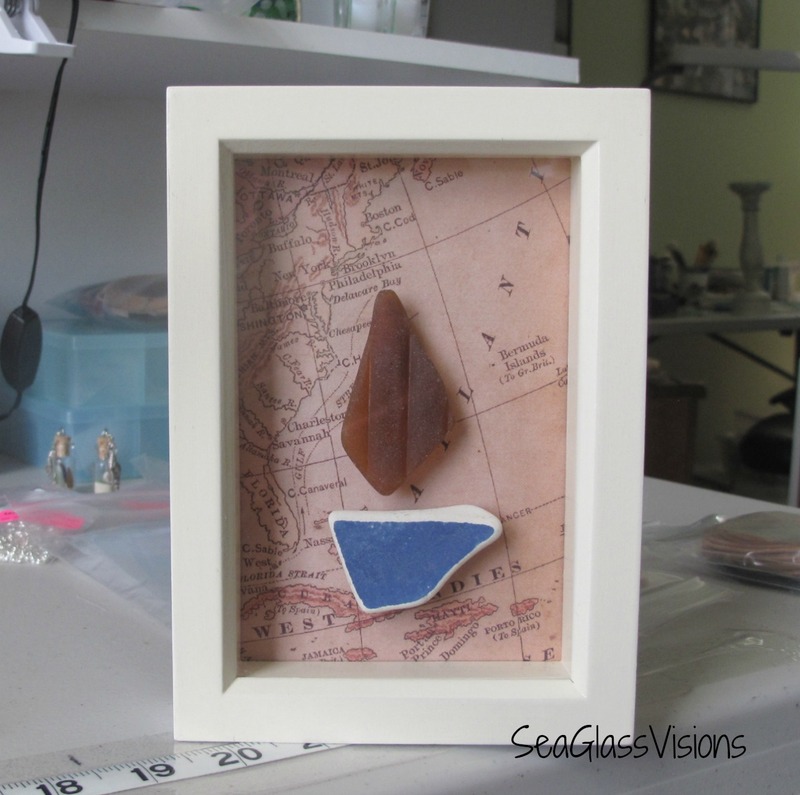 I was very lucky to be able to purchase eight sea glass and sea pottery sail boat sets from California. I have decided to create a “collection” I am calling “Smooth Sailing”. 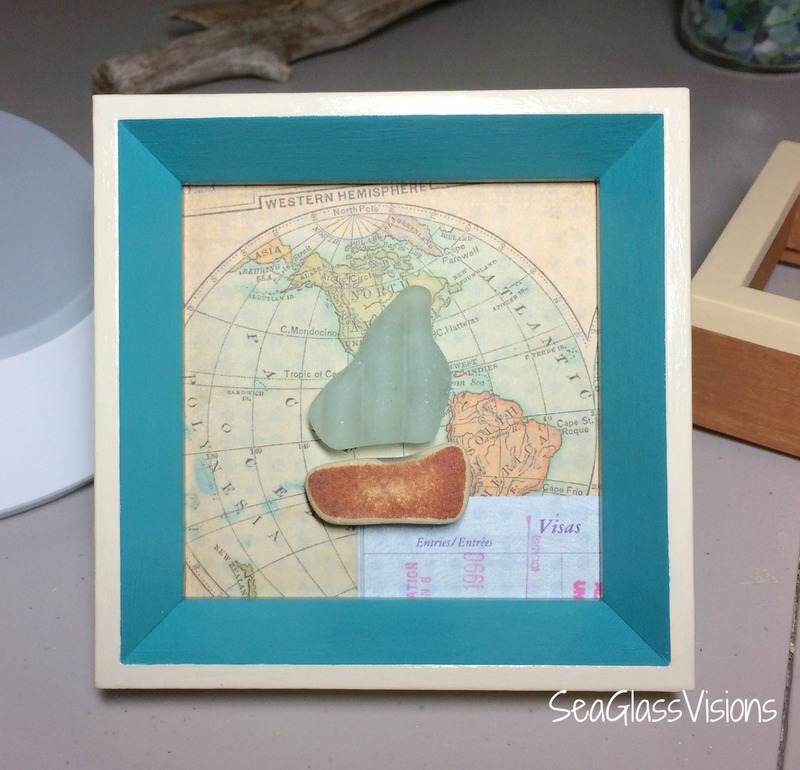 Each piece will be one-of-a-kind, including the nautical background and frames which are re-finished by hand by me to accent each piece. I live near the Chesapeake and I think these will sell very well. I am offering them for sale locally in Pasadena, Maryland at EL & Company on Mountain Road. These are the first three pieces.